Winter is the time of year when morning walks can really test those water proof runners and the old elastic sided boots that haven’t had a lick of nugget for months. Somehow, even with the most careful high stepping to avoid the long wet grass that pesky water always finds its way in to where it’s not welcome and the inevitable happens, soggy socks and wet feet inside squelching boots. There are four shrubs found in the Geelong region and throughout the southern states of Australia from the Myrtle family that have fine-tuned the ‘art’ of surviving and thriving with wet feet and I’m pleased to say that they are still common on many our waterways. 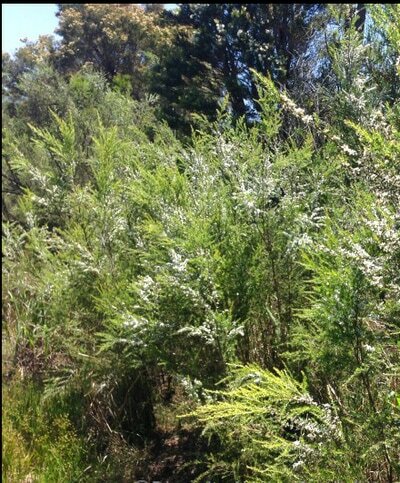 Three of these shrubs usually grow on the edges of creeks and rivers and are often the only woody plant that is holding the banks together. 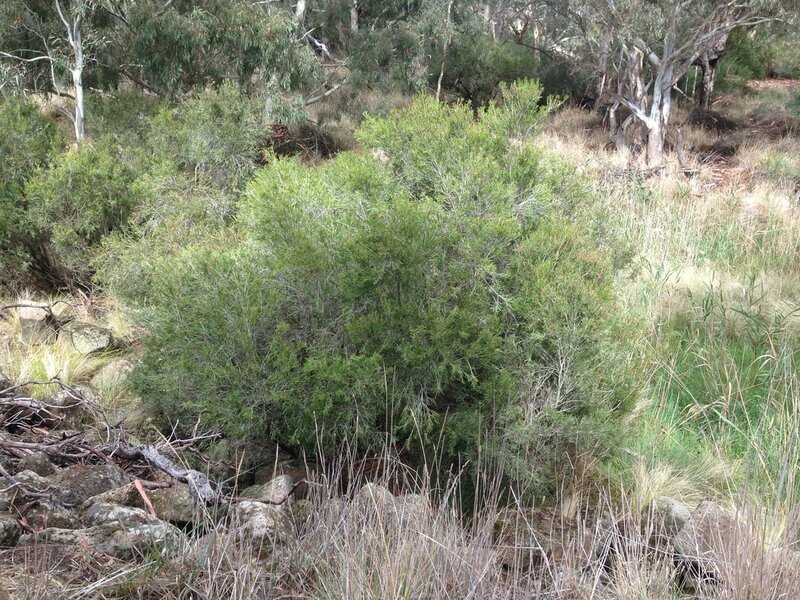 These hardy and important plants can restore eroded areas by trapping river sediment particularly in times of flood, building up the river bottom around them and putting a stop to the banks washing away. Woolly Teatree growing in the bank of the Barwon River. Tangled Lignum, Muehlenbeckia florulenta in the foreground and azolla (an aquatic fern) on the water surface. 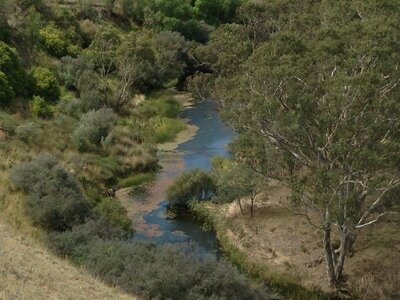 On the Barwon River on private land there are several of the oldest and largest River Bottlebrush that I have ever seen in my wanderings. Two hundred years old would not be an exaggeration as they had multiple trunks on them each as big as William Buckley’s thighs. 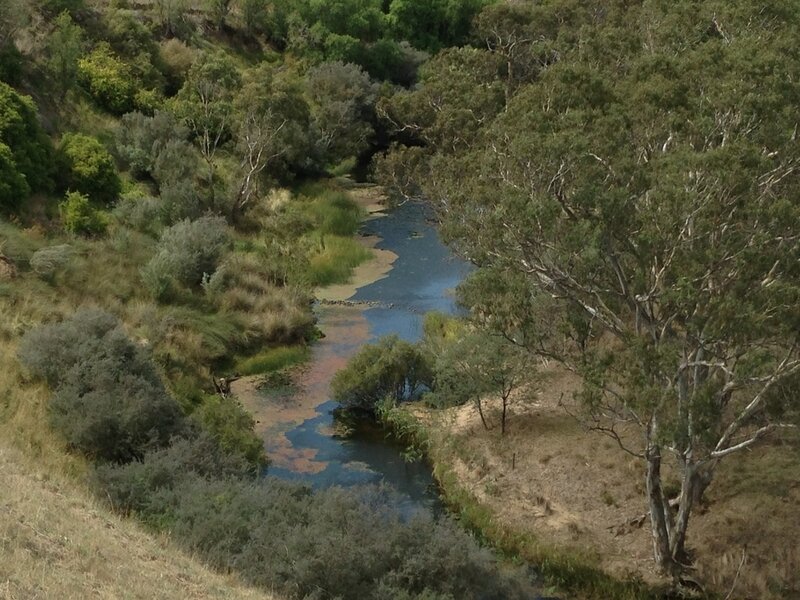 For those of you that don't know about Buckley his wanderings along the Barwon River and his life with the Aborigines for thirty years, Buckley was a giant of a man. 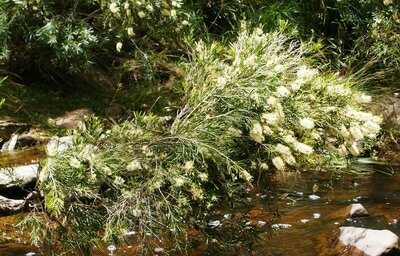 The River Bottlebrush is a beautiful shrub and in a moist environment it has an attractive weeping habit. 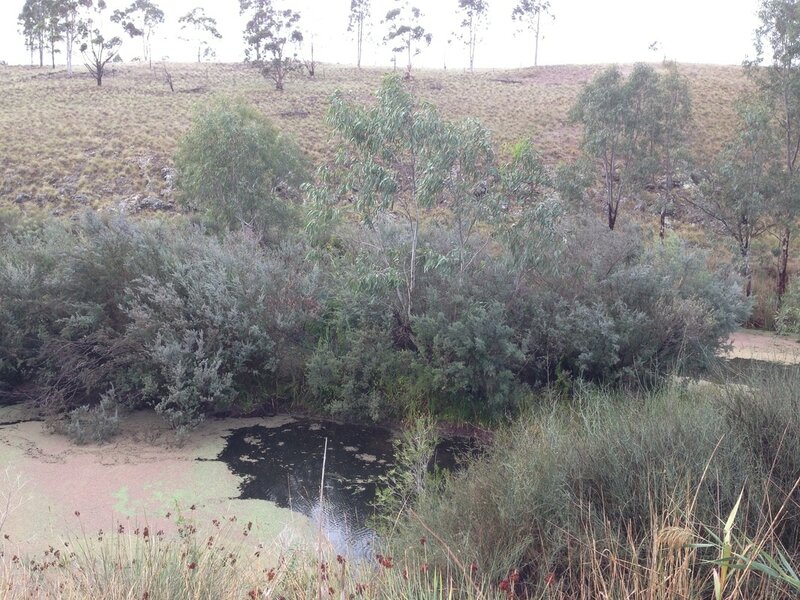 I have seen this habit put to clever design in the Wonga Wetlands near Corowa on the Murray River where two parallel rows had been used to create a 40m long tunnel of soft vegetation. Its yellow/apricot coloured flowers are small for a bottlebrush but nonetheless quite spectacular in spring. 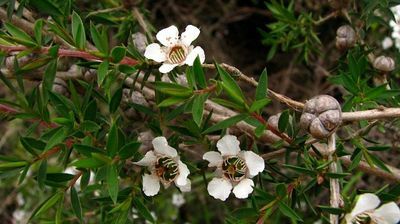 The Woolly Teatree’s white flowers are just as spectacular in spring and its grey foliage makes it stand out from the crowd from 100 meters away. 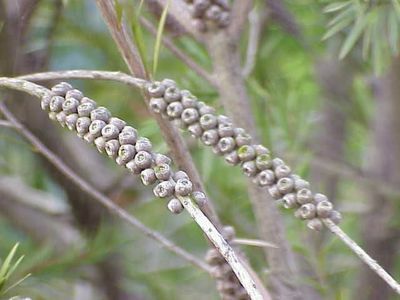 Though unlike the River Bottlebrush that can withstand long periods of dry, the Woolly Teatree, and its close cousins, the Prickly and River Teatree, are all wimps in the dry. You could say that the Teatree’s as a group are addicted to cold and squelchy wet feet. 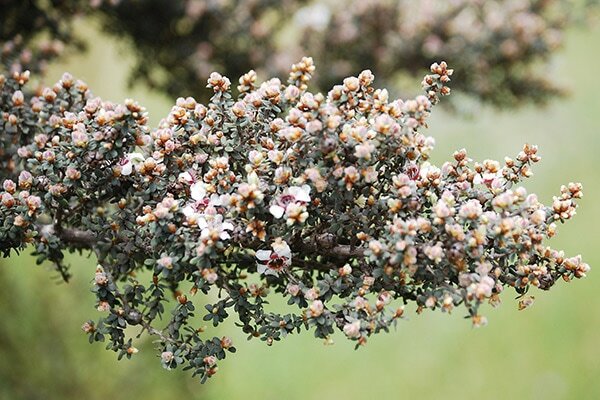 Can you spot the gray foliage of the Woolly Teatree in the bottom right photo above? All these wet feet specialists have a bushy habit and grow to a similar 4 meter height. 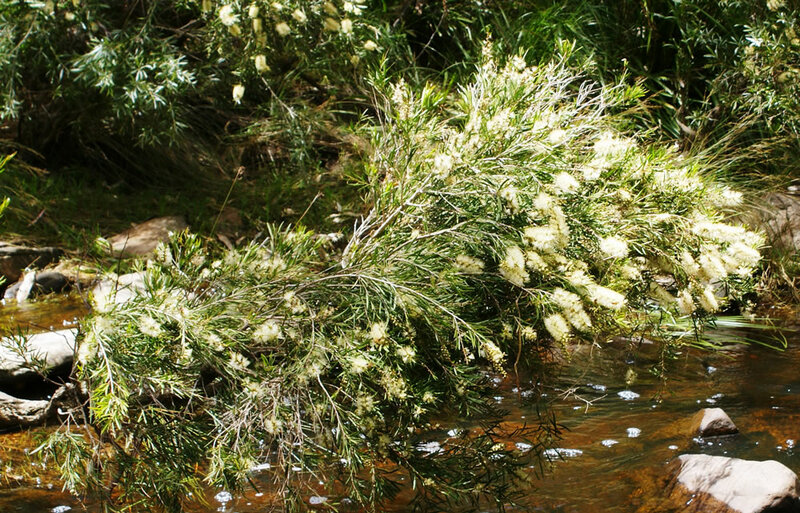 They provide important habitat and stepping stones for small woodland birds and honeyeaters along our waterways as well as important food sources like nectar and insects. When next you’re having a winter stroll along one of our remarkable waterways, in between your high stepping to avoid the morning dew on the long grass, stop and get acquainted with four remarkable survivors that have made damp areas their home. 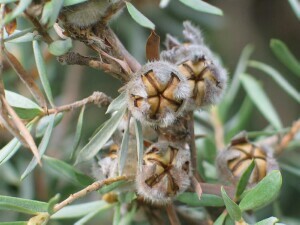 They are easy to identify because they share their ancestry with the eucalypts and have scented aromatic oils in their leaves. Crush some leaves and breathe in the beautiful fragrance. It may help to take your mind of your cold and wet feet.